This book advocates a more thoughtful approach to urban water management. The approach involves reducing water consumption, harvesting rainwater, recycling rainwater and adopting Sustainable Drainage Systems (SuDS) where surface water is not sent straight to drains but is intercepted by features like green roofs, rain gardens, swales and ponds.Cities in particular need to change the existing linear model of water consumption and use to a more circular one in order to survive. 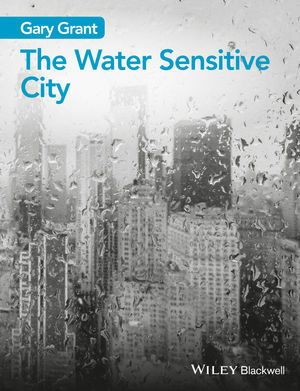 The Water Sensitive City brings together the various specialised technical discussions that have been continuing for some time into a volume that is more accessible to designers (engineers and architects), urban planners and managers, and policymakers.